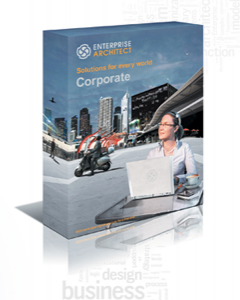 This edition is a fully featured UML modeling environment aimed at work groups, analysts and developers. This is the EAPRO standard, single user licence. For the multi-user floating licence see EAPROFLOAT. 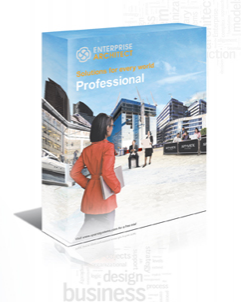 The Professional Edition is a powerful modeling and visualization tool aimed at work groups, analysts and developers. It supports shared projects through replication, shared network files and version control integration. Edition features include code and database engineering, MDG technologies, mind mapping, a project discussion forum and RTF report customization. 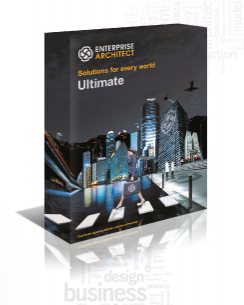 Access to the Automation interface gives other applications the ability to create, access and modify Enterprise Architect UML elements. The Professional Edition allows teams to debug and visualize running applications, manage and trace requirements and build complex systems. 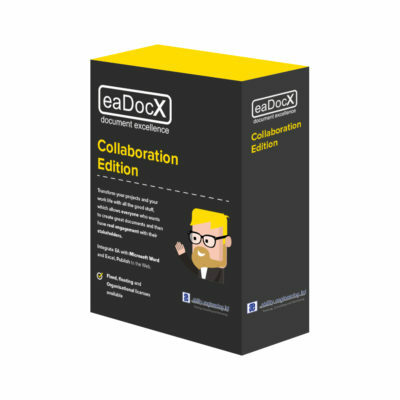 The Professional Edition supports shared projects through replication and shared network files. It allows for repository querying via XMI, fully supports code and database code generation and reverse engineering, along with synchronization of model elements with source code. It also supports the creation of MDG technology applications, MDA transformations and WDSL engineering. The Professional Edition does not support the use of DBMS based repositories, or user/role-based security. This is a partial overview. For a detailed list, view the full feature list.